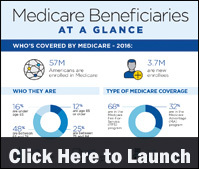 There were some 57 million Americans enrolled in Medicare in 2016—with the majority (68 percent) still enrolled in the traditional Medicare fee-for-service program, according to a new infographic by the Centers for Medicare and Medicaid Services. 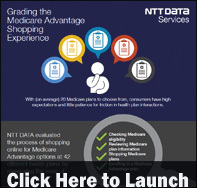 The infographic examines Medicare demographic data, service use, average total payments, beneficiary satisfaction rates and the top 10 chronic conditions among enrollees. Home healthcare patients are among the poorest, sickest and most vulnerable beneficiaries in the Medicare program, according to a new infographic by the Partnership for Quality Home Healthcare. 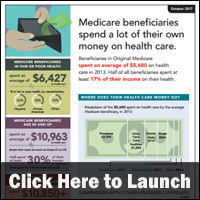 The infographic compares a traditional Medicare beneficiary with a Medicare home health beneficiary and factors that demonstrate why Medicare home health beneficiaries are financially vulnerable. There are more than 11 million individuals who receive services from both Medicare and Medicaid. State policymakers and their federal and health plan partners are increasingly seeking opportunities to improve Medicare-Medicaid integration for these dually eligible beneficiaries, according to a new infographic by the Center for Health Care Strategies. 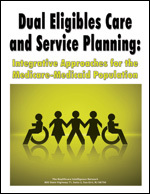 The infographic explores the reasons to integrate care for dually-eligible individuals; features of effective programs; and factors influencing state investment in integrated care. 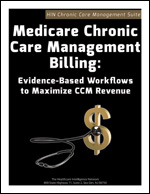 Beneficiaries in Original Medicare spent an average of $5,680 on healthcare in 2013. Half of all beneficiaries spent at least 17 percent of their income on their health, according to a new infographic by the AARP. The infographic breaks down where Medicare beneficiaries spend their healthcare dollars and how age and health status impact spending. 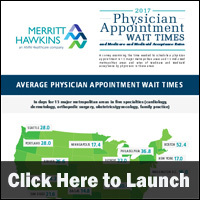 The average wait time for a physician appointment in 15 mid-sized metropolitan areas was nearly 8 days longer than in l5 major metropolitan areas, according to a new infographic by Merritt Hawkins. 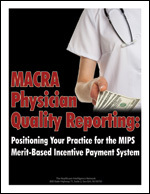 The infographic also examined rates of Medicare and Medicaid acceptance by physicians in these markets. 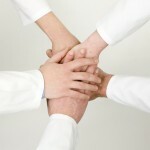 Care transitions mandate: Sharpen communication between care sites. 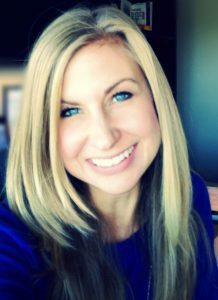 Call it Care Transitions Management 2.0  enterprising approaches that range from recording patient discharge instructions to enlisting fire departments and pharmacists to conduct home visits and reconcile medications. 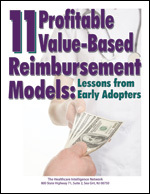 To improve 30-day readmissions and avoid costly Medicare penalties, more than one-third of 116 respondents to the 2015 Care Transitions Management survey34 percenthave designed programs in this area, drawing inspiration from the Coleman Care Transitions Program®, Project BOOST®, Project RED, Guided Care®, and other models. 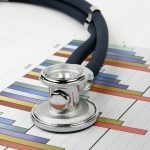 Whether self-styled or off the shelf, well-managed care transitions enhance both quality of care and utilization metrics, according to this fourth annual Care Transitions survey conducted in February 2015 by the Healthcare Intelligence Network. 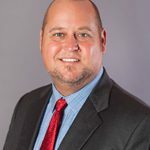 Seventy-four percent of respondents reported a drop in readmissions; 44 percent saw decreases in lengths of stay; 38 percent saw readmissions penalties drop; and 65 percent said patient compliance improved. 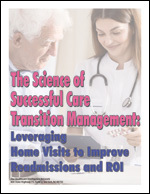 The hospital-to-home transition is the most critical transition to manage, say 50 percent of respondents. Heart failure is the top targeted health condition of care transition efforts for 81 percent of respondents. A history of recent hospitalizations is the most glaring indicator of a need for care transitions management, say 81 percent of respondents. Beyond the self-developed approach, the most-modeled program is CMS’ Community-Based Care Transitions Program, say 13 percent of respondents. 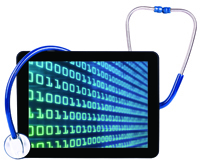 Eighty percent of respondents engage patients post-discharge via telephonic follow-up. 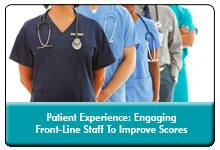 Discharge summary templates are used by 45 percent of respondents. Home visits for recently discharged patients are offered by 49 percent of respondents. Beyond the EHR, information about discharged or transitioning patients is most often transmitted via phone or fax, say 38 percent of respondents. 2015 Healthcare Benchmarks: Care Transitions Management HIN’s fourth annual analysis of these cross-continuum initiatives, examines programs, models, protocols and results associated with movement of patients from one care site to another, including the impact of care transitions management on quality metrics and the delivery of value-based care.